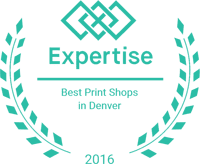 We offer more options & better deals than almost all the screen print and t-shirt decoration shops in Denver. from one off full color digital to multi color advances screening. Choice Image has been creating and producing Custom silk screen printed and embroidered clothing & Accessories Since 1982 at the same , Lakewood, Colorado location. We can offer extremely competitive prices as we do not lease any expensive equipment or buildings…. Our long term relationships with the distributors gives us product buying power based on our annual sales. We now employ a state of the art Direct to garment Digital clothing printing system. Unlike many other direct to garment printers ours is a large format printer with White inks system that allows us to print any color garment. Now you can order create and print one single, full color custom hooded sweat or tee shirt at an incredible savings. This system requires no set ups or screens. No films or expensive color separations….Making it easier then ever for the common person to create their own custom apparel and garments. We are a full service shop for custom fashion apparel. offering in house digitizing, illustration & graphics printed t shirts, embroidered shirts and more. . We’ve spent the last 30 years perfecting our art and believe it show in our final product. Our staff of professionals are highly skilled and educated. We offer Illustration and color theories and no extra charge making our product lines Shine above the competition.. Whether you’re looking for custom tshirts for your business, sports team, charity group, or other function or gathering, you’re well suited when doing business with a local area business. Knowing where to find the best local tshirt printing will save you a lot of time and money, and is the easiest way to do business in the event of a printing error. Local custom t-shirts can be personalized with your company name and logo, and can even be printed to boldly display contact information in an attractive manner. If you’re ordering local custom t-shirts for a sports team, such as basketball, baseball, soccer, and even youth sports, you can get exactly what you’re looking for, while guaranteeing local service and a no-hassle return policy. When you use your local t-shirts supplier for your business, you spread the word about your organization and potentially acquire new customers all over town. Planning a family gathering? Order local custom t-shirts for the entire group! Personalize your t-shirts with family photos, names, family tree graphics, and much more. Whatever you can imagine, you can have it personally designed by your local custom t-shirts company. Because your local shirts are available in all sizes, you can get the same custom print job on shirts for children and adults, for the smallest member of the family, up to the largest member of the family. All tee shirts are not made the same! The best local custom t-shirts companies offer shirts in a variety of fabrics, textures and colors. Everything from the most vibrant colors, to plain basic white; whatever your preference you can find exactly what you need to suit your purpose. Need a durable fabric for a sports team? You can find it at your local custom t-shirts business, and if you need something just to last long enough to finish a charity walk, you can get that too. Literally, anything for any occasion can be bought at your local custom t-shirts supplier. Custom t-shirts make unique gift ideas, as well. Know someone that just had a baby? What better way to celebrate than with custom made garments that proudly display a photo of the new baby and relevant birth information? Personalize the t-shirts one step further, and add the word “Mom”, or “Dad”, or even “big brother”, right on the back. Make one for each member of the family, and create something truly special. Think custom shirts are expensive? Think again! The best local custom t-shirts companies offer competitive prices that may surprise you. If you’re using custom t-shirts as a means of advertising your business or services, you would be hard-pressed to find a less expensive advertising vehicle. When looking for the best local custom tshirt screen printer and supplier, it’s practical to ask to see a portfolio of finished work, or even better, tour the shop to get an idea of the quality of work they offer. Experience matters, so take a few moments to ask about the printing process and other relevant questions. We’re experts at digital imaging. From creating graphics & illustration to cleaning up your images or retouching a photo, Whatever you can imagine for your custom shirts we can make it happen. Our advanced techniques will only make your shirts ” Look more expensive” than the other shops. Advanced graphics and illustration. Production mechanical art and color separation for screen printing. Photo retouch and editing. Custom multi color embroidery and monograming, In-house digitizing of art, graphics and typography. Digital direct to garment imaging. From computer directly to tee shirt in Full color. From basic and advanced color or design theory. to concepts in marketing and branding. We offer full in-house graphic arts services. See our portfolio of award winning art created for clients just like you. Choice Image is a graphics service provider specializing in custom silk screen printing, embroidery & DTG digital direct to garment imaging. Exceptional quality and customer satisfaction are delivered through the use of state of the art technology and an intense focus on meeting or exceeding our customers' expectations.